The classic word search game. 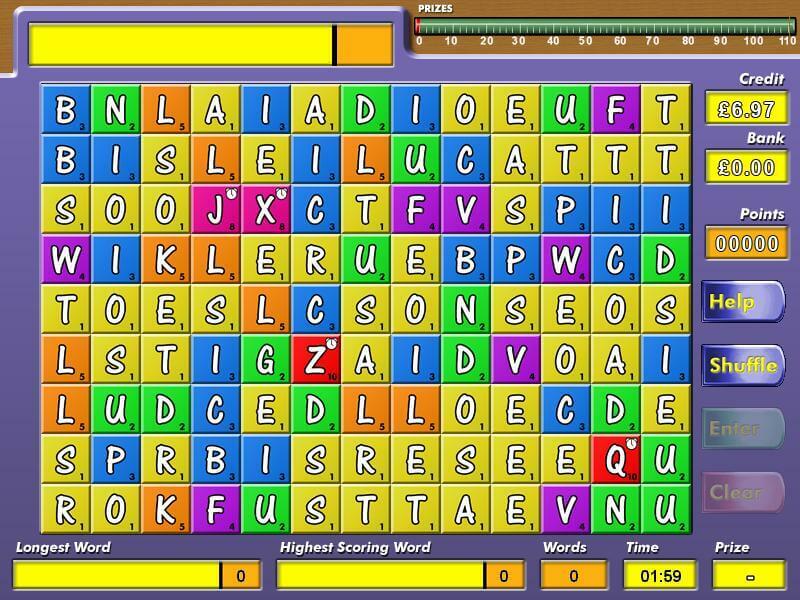 Search for words by connecting the scrambled letters. Each word submitted is removed from the grid and the letters above fall into the gaps. The more difficult the word the more points it’s worth. The more points you collect the bigger the prize.